Meet Zola. 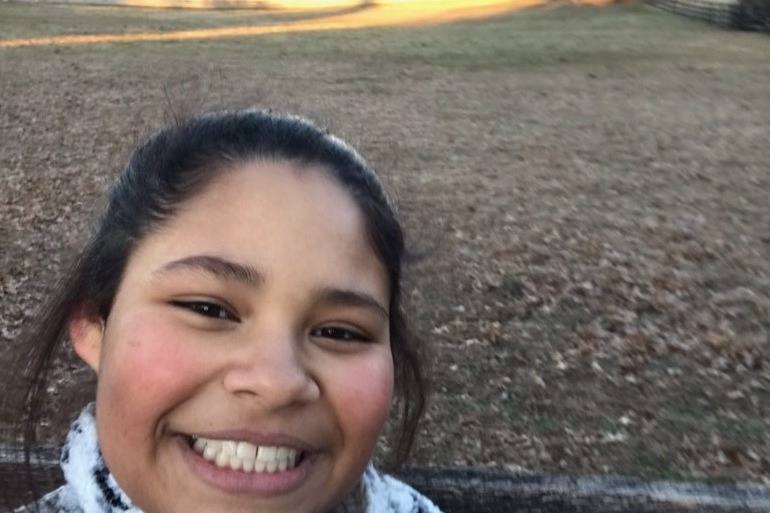 She is a bright, happy, peace making 7th grader at Henley Middle School in Crozet, Virginia. She loves to hang out with her friends and play basketball. Zola was recently diagnosed with Desmoplastic Small Round Cell Tumor, a rare and serious tumor that requires quick and aggressive treatment. The first thing she asks for is a prayer as she fights her diagnosis. Her family, while reluctant to ask, could use our help as they support their daughter, niece, sister, and cousin. Funds raised will be used for travel, food, lodging, and lost work wages. If you are able to support #OneOfOurOwn, your generosity would be most appreciated. We will continue to update you on Zola's fight! There are no words to describe how thankful the Barbour Family and the Henley School Community is for your generosity. In under five days, we have raised over 22k for Zola and her family. Zola began chemotherapy Friday. She will be under UVA’s care for an estimated two months before transferring to Sloan Kettering in NYC. Her family continues to ask for prayers and well wishes. Zola is upbeat and determined and your support has had a tremendous impact. Please continue to share and pray. Thank you!